Well for the few that do follow the blog...yes it has been awhile...quite awhile as blogs go. But we are approaching the fifth month of 2018 and this morning Elaine made me aware of a site that conducted a nationwide survey that involves what we do...Volunteer. Let's just say sharing it was the inspiration to sit down and type out a few words. As well I'll do a little catch up on Quilts of Valor, longarming, and pass on my thoughts are some cliches and what I've been hearing and reading on social medias. "Volunteers in the United States are 63 million strong and hold up the foundation of civil society. They help their neighbors, serve their communities, and provide their expertise. No matter what kind of volunteer work they do, they are contributing in invaluable ways. Despite major economic and political changes since 2012, the contributions of volunteers has grown with each year. Dig into the historical national data and the state-by-state figures...to appreciate the value of volunteers' contributions time, talent, and effort in our communities." I'll get back to this I promise. We, Elaine and I, and those that volunteer for Quilts of Valor, via Not Forgotten QOV participate in several events here in our area and others to help raise funds so that we can support our Quilt of Valor habit in the manner we have become accustomed to. 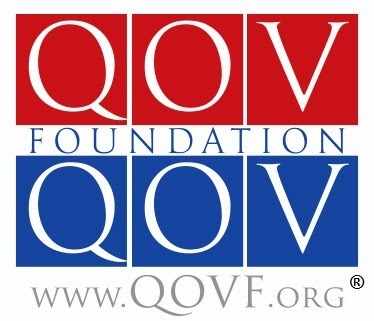 One of the huge differences between the Quilts of Valor Foundation and many other charitable 501 (c) (3) organizations is that we have access to all of the funds that we raise. Any and all administrative costs are funded through donations made to the national organization and through the membership fees for those volunteers that choose to join. No one is required to join but the benefits of being a member and a Registered Group like Not Forgotten are significant when weighed against the $5 annual fee for membership in a group. 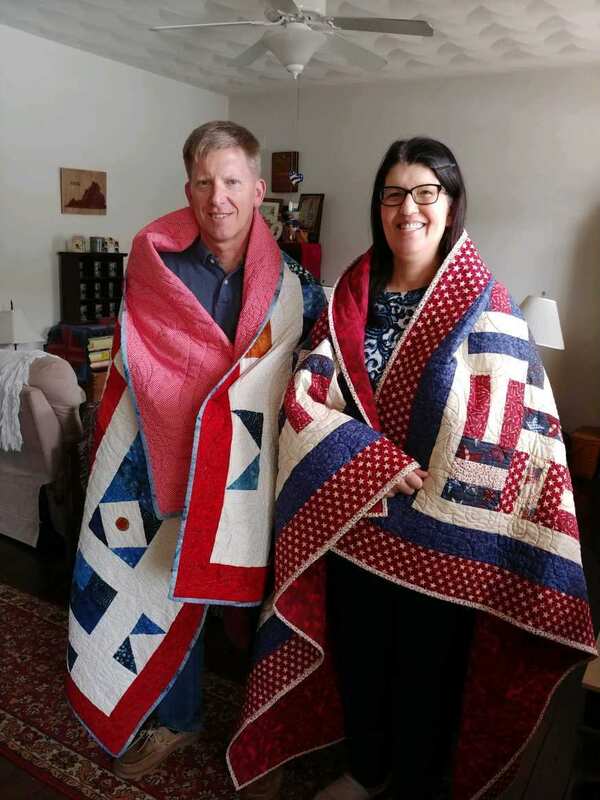 Those events we participate in usually involve the selling of Raffle Tickets to raise funds, often for a quilt and at one major event annually a sewing machine. We also set out a Donation Container and yes we will just take your money...with a very heartfelt Thank You. Next to the Donation Container is a framed synopsis of "Destination of Your Donations." It was compiled from numerous sources that evolve around the market value of quilts, material costs and estimated labor. It is a very conservative estimate but a fair example of what goes into a Quilt of Valor. So our first cliche is. "If you have to ask how much it costs...you can't afford it." Which in the case of a Quilt of Valor is not relevant because to the recipient, the requester and anyone in between...there is no cost. Now...back to the national survey. The results of the survey really hit home when what was published is applied to the above estimate of Volunteer Hours...again let me stress, a conservative estimate. 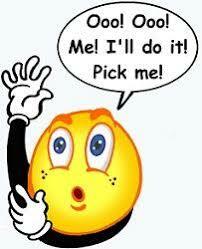 It was found that a Volunteer's Time is valued on average at $24.69 per hour. I did not stutter. The survey was broken down by state. The range was from less than $20 per hour to greater than $26 per hour. Fourteen states topped the charts at $26+ an hour. Washington, California, Alaska, Colorado, Minnesota, Illinois, New York, Georgia, Rhode Island, Connecticut, Massachusetts, Maryland, New Jersey and Virginia. Several of those over $30 an hour. So if we figure the average, $24.69 per hour times the conservative estimate per quilt...$1,592.50 labor on top of the $151.50 for material...if it were for sale you can't afford it. So the next time you are volunteering keep this in mind. Your time is valuable. Way more so than you thought; I'd bet. "Volunteers are the only human beings on the face of the earth who reflect this nation's compassion, unselfish caring, patience, and just plain loving one another." Erma Bombeck. Since my last entry we have been very busy...busy beyond our expectations with Sew Days, Events, longarming and awards. 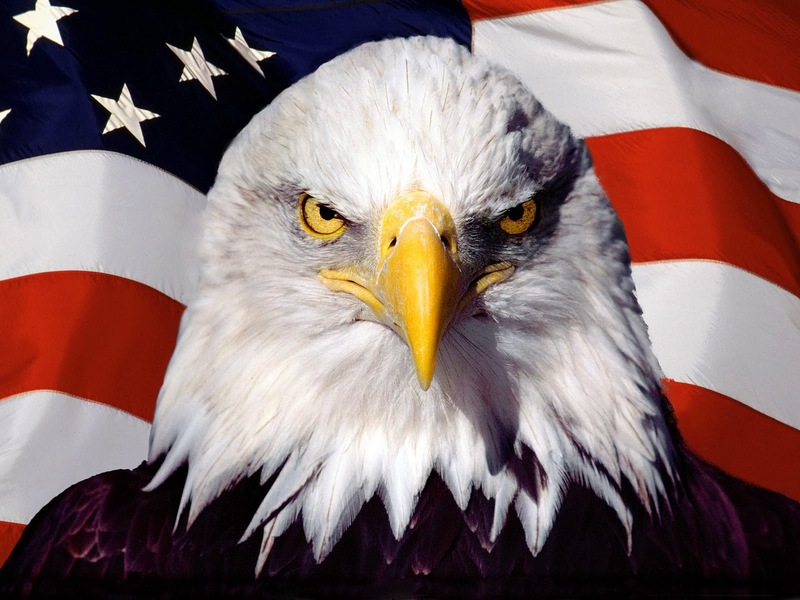 We have awarded to WWII Veterans, Korea, Vietnam, Iraq, Afghanistan, Panama, Somalia. From Nurses to Navy Seals, Air Force Pilots and Crews, Army Special Forces, Coast Guard, and Marines. As is always the case we are humbled by their service, their admonitions that they were nothing special and only doing their duty and with a tear an appreciating hand shake or hug. There is no survey that can put a price tag on what they have done nor the reward that we get from being just a small part of thanking them for standing in Harm's Way so that we can rejoice in the freedoms and safety their service brings to our nation. Oh the stories I hear. And each one solidifies my honor to have served this nation in their shadow. Seven more of the Greatest Generation. The awards have been many. Those pictured and more. The one directly above is a Marine that served in Vietnam at the same time I was there. We could have easily stepped in the same dirt. Number two: "If it is too good to be true, it probably is." I quilt T-Shirt Quilts for several that make T-Shirt Quilts for others. It is with interest that I see on social medias and sites like Etsy TQ's for sale and custom made in the vicinity of $100. I'm assuming, based on the "+" sign following the $100 figure this is a crib quilt. Elaine and I, as well, make to order, custom TQ's. Be assured if you're talking about a TQ that will actually cover more that the lower half of your legs it's going to cost more than $100. 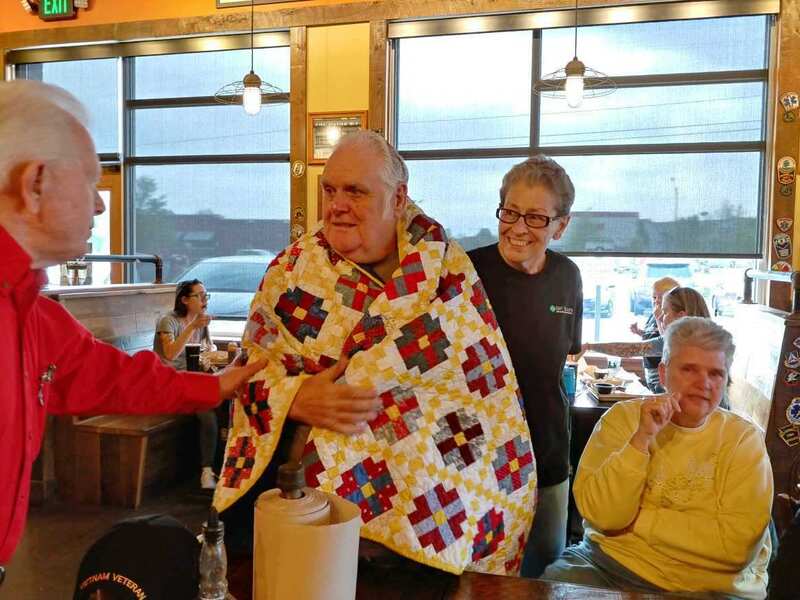 Please be cautious when selecting a quilter to take on the task of producing a quality product that will last for years to come to preserve yours and their memories in T's. 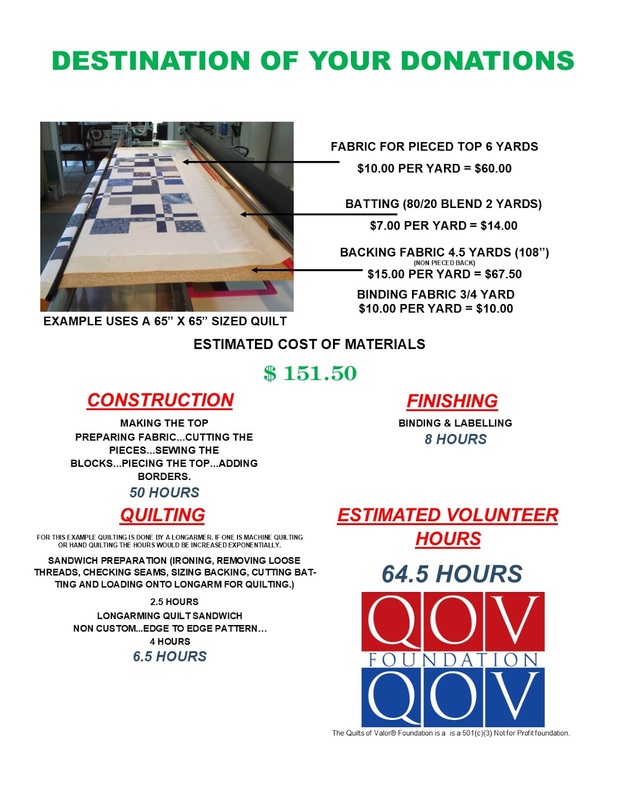 If you are looking for a TQ to commemorate a child's evolution to college, their competition in sports or 4H, or academic achievements start thinking in the $300+ range for a twin size quilt of quality and craftsmanship. I have for years been leery of the pricing of extras that can so quickly run into hundreds and thousands of dollars. Some, like Lightning Stitch are worth every penny. Then there is the light bar. Coming in at almost $900 I've never been able to justify that expense. Nor have I considered a light that is mounted over the machine and table area that causes a shadow to be cast on the quilts work area. To solve that, in the case of Innova they came out with an LED light source that mounts to the head of the machine. Pushing $200 it was just an option I wasn't willing to pay for. So to enhance the lighting in my work surface area I've done several things...some worked, some didn't. But recently I found what did work, really well, at a very reasonable cost, $51, and based on the lighting sources I've seen on other machines, from numerous manufacturers, a system that provides better lighting at a lower, in some cases much lower cost. Like I said some worked, some didn't. I had this monster clamp on one of the handles and directed to the work area. Plenty of light at 600 Lumens per bulb...but just a tad bulky and somewhat gaudy/gawdy (you choose). Now I have mounted two of these...one on the left and one on the right. The picture really doesn't do the amount of light illuminating the work space justice. But rest assured I've found my work area lighting alternative. Via Amazon. They mount easily to the machine housing via a very strong magnet and if you choose to mount differently they come with a 3M Double Sided Adhesive Disc. I Still have the standard light fixture that came with the machine attached but how often it ever gets turned on is yet to be determined. Quilts since the last blog entry. Too many to count but here are a few. This is a "rescue" from a garage sale. Completely disassembled by the piecer. We added new backing and batting and I quilted it with a Baptist Fan pattern. This is an old Navy Flag, with a new back, batting and some Stars and Loops. Lap Quilt anyone? What is it about baby quilts that just make your day. All I could think of was Bonnie Raitt and "Have a Heart." You are looking at one very happy piecer...not to mention kind of pretty too. This is, in fact a Quilt of Valor, that was made for our Brother in law...Elaine's sister's husband. Served in the Navy and now is very active in the Coast Guard Auxiliary in Long Beach, CA. Elaine and my old stomping grounds and where we met on our first day of high school...just the other day. It was awarded in CA. This is the backing. Hard to see but the pattern is the signal flags for the alphabet. Across the top of the back Elaine embroidered our brother in laws name in signal flags. Ten Needles of shear joy as she calls it. She wanted a convertible...so I named it. "RAG TOP" now it's a convertible.